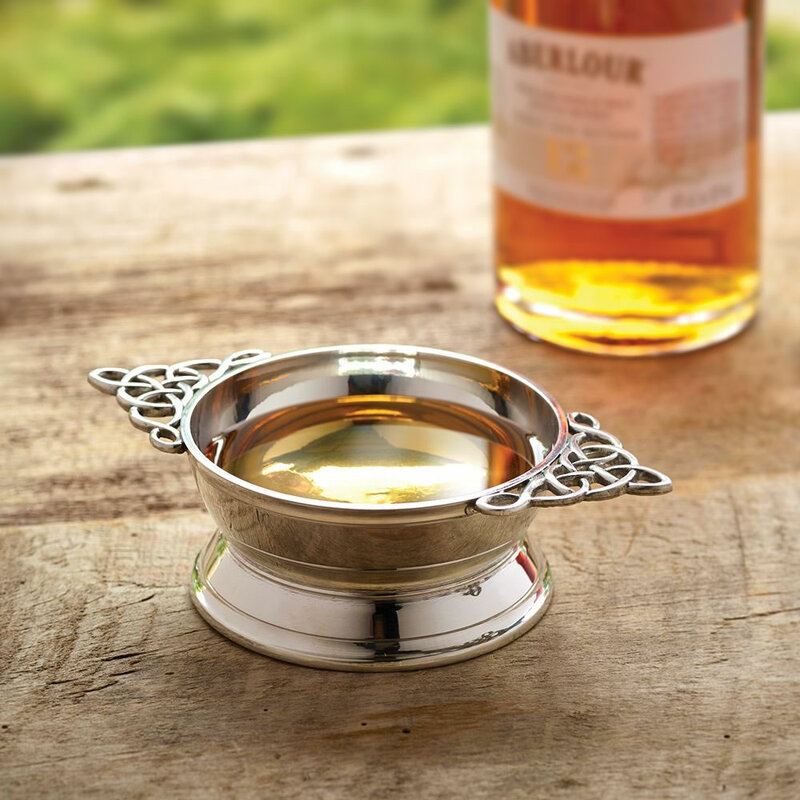 Only available from Hammacher Schlemmer, this is the traditional pewter drinking cup of friendship from the West Highlands of Scotland. “Quaich” is a Scots rendering of the Gaelic word “cuach,” meaning cup, and the shallow bowls were widely used in toasts of welcome during medieval times. Handcast by the A.E. 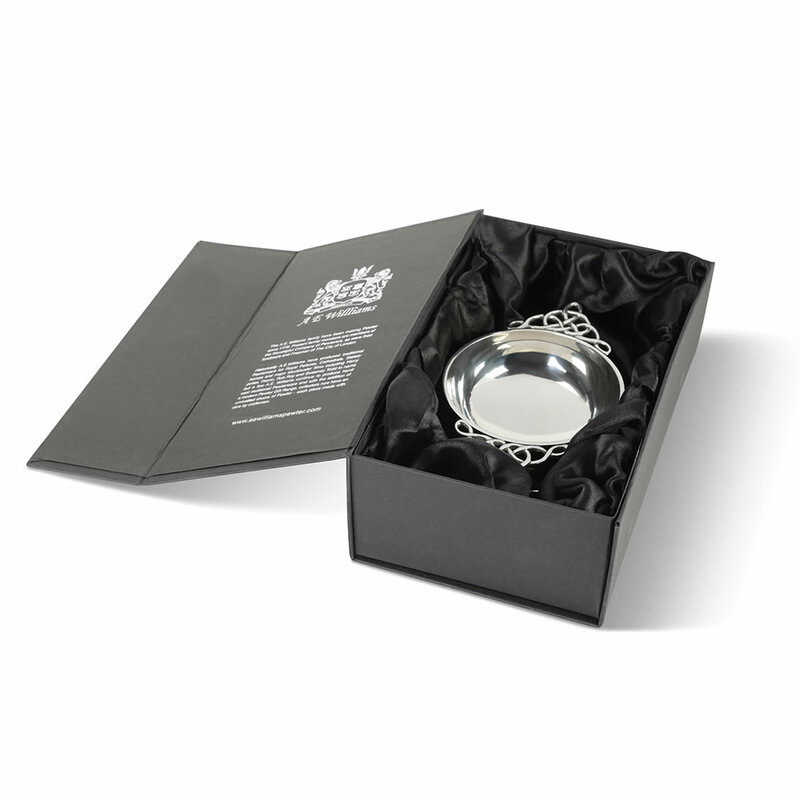 Williams family—one of London’s premier pewter makers since 1779—from the finest English pewter based upon an original antique bronze mold, each piece is carefully turned on a lathe and highly polished by hand. Two Celtic knot handles invite the drinker to share a bracing sip of the finest Scotch with a friend, whether on greeting or in parting. 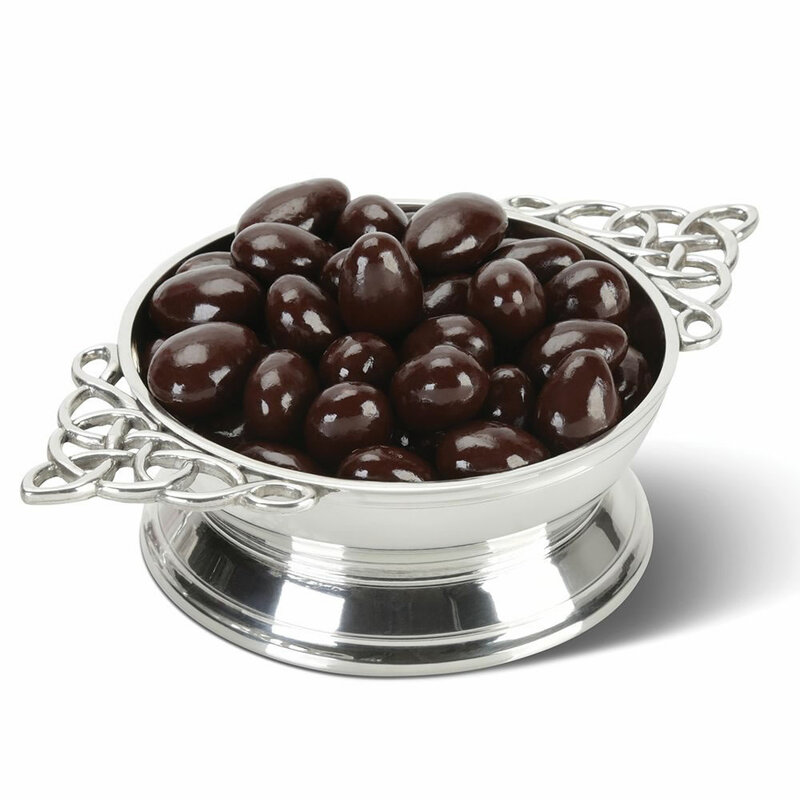 6 3/4" L x 4" W x 1 1/2" H.
The Celtic Quaich comes with The Hammacher Schlemmer Lifetime Guarantee. Items that we sell are guaranteed for their normal life under standard non-commercial use.